Some Email Marketing Predictions for 2019. Digital Marketers, another year has passed by and it has brought so many changes in 2018. As you bid "adieu" to the monumental year that was. You still have to be on top of the game in the upcoming year to come. Start evaluating your email marketing strategy for 2019. It's been rumored that the number of people who will use ad blockers will grow meaning ads will be less effective. The growing mistrust of social media, consumers will seek a direct relationship with the brands through a medium that remains a play-by-play strategy. If you look into the change in the digital landscape in 2019. Email Marketing will still be the most cost-effective ways to incorporate the changing trends that would lead to better engagement and more revenue for the company. Why Email Marketing for 2019? Even there is an emerging technology, email isn’t that exciting and new to people but it remains a staple part of the digital household. On the other hand, channels that overshadowed email marketing are now finding their popularity fading. Nowadays, the consumers are well of how much money influencers get paid to post a product even though they are really not using the product. The consumers are more conscious and increase their critical eye on the social media ads. The most abused social media platform is Facebook— people are looking for more value elsewhere. Social media will still remain popular but people will choose to receive their news and engage with brands in other ways. Consumers will connect directly with your brand without the interference of algorithms that affect which message they will see. This means email marketing will be more important to your brand than ever to share your updates and what your company is up to in more authentic ways. 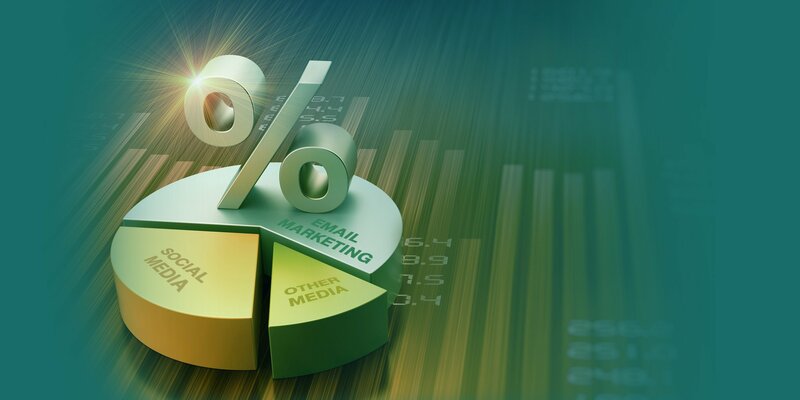 Another reason why email marketing is still integral to your business because email marketings know the importance of subscribers list segmentation with the use of artificial intelligence and techniques for data-collection improves. This means marketers will be able to split their email subscribers into specific niche segmentation. Since the consumers know the company is collecting data and they expect in return that you understand them and give them the right information that they only care about. This is why segmenting makes sense to deliver the most relevant content to your subscriber's inboxes adopting to new technologies to increase effectiveness in collecting data. Email marketing is the easiest way to send long-form content. This is the kind of content that your consumers find with higher value. It’s true that the attention span of people is getting less but on the contrary, they pay attention as long as they are engaged. For example, Twitter increased their character limit and binge-watching has changed the way network writes, shoot and deliver shows. Follow this to stay ahead of the curve with your email marketing. Consumers are feed up with the fad. They crave more of the Authenticity. Though it is impossible to craft every individual email your company sends. Emails you send like automated emails can still incorporate the personal touch that will make your brand more human to connect emotionally with your subscribers. A great way to do this is better storytelling in your email marketing. Whether you share your brand story, customer experience — allow subscribers to know your brand in a personal way by promoting transparency about what you’re up to and what’s going in your company. Storytelling allows you to demonstrate the real-life benefits and value of your product or services. By sending them not just a sales pitch, incorporate curated content and storytelling you give them the experience. Another great way to increase authenticity in your marketing is adding a personal note from an important person in your company. There are 5 billion smartphones user predicted to rise in 2019 and study show nearly 1 of 5 email marketing campaigns are not optimized for mobile devices. That’s calling a loss of revenue for the company. Mobile optimization is imperative to the success of your business in 2019. This means optimizing the whole customer journey for mobile users. The customers are using their mobile devices for everything from emails to your website and shopping using their mobile devices. CTA should be converting more seamless because you can assume your subscribers will not use their desktop to follow through. In 2019, mobile will be predominant use of the people and email marketing should do well in the mobile to maximize your digital effort towards higher revenue. Artificial Intelligence will make email marketing more successful in 2019. AI will help you to understand better what content a potential customer is consuming, how to generate marketing content, support or technical document which will allow you for a more personalized experience and customer satisfaction. You can generate content according to what works best for you and improve your KPI. AI will be a great help to check your content and evaluate what performs best. Determine the highest performing promotions because AI can look at your customer's past behavior and determine which promotions work best in each of your segment. You can simply know your customers preference with what kind of promotion they like. AI is all about delivering value to your customers in a more precise manner. It can also create a segment based on the behavioral pattern that your sales might have missed. Chatbots is another marketing technology that will be helpful in 2019. This will help if you incorporate it with your existing marketing strategy as opposed in focusing on this technology alone. In fact, chatbots and email marketing go well together. You can add email subscription chatbot that asks visitors to your site if they like to sign up for your email list. It can ask the subscribers what kind of content they’d like to receive from you and how often. Your customers will be more engaged with your company when they input what content they want to receive from you. Email marketing will always remain one of the most cost-efficient channel available for your business in 2019. With the evolving digital technology and trends in the digital landscape, Email marketing will always be present. Try to consider in implementing these marketing predictions this 2019 to stay ahead of your competitors.